Cheese Burger Cheese Burger? 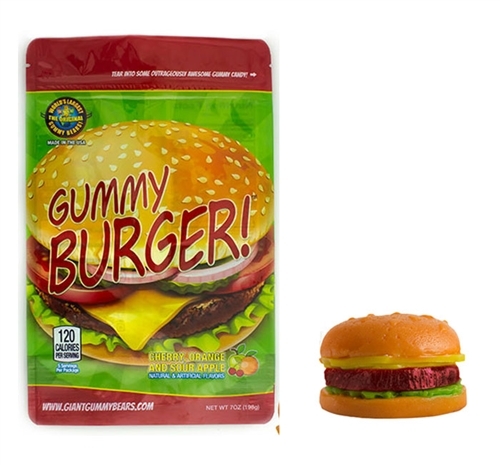 A Gummy Cheese Burger, that is! 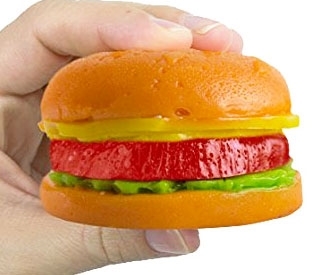 This original juicy burger comes complete with cheese, lettuce & tomato, each individually flavored! Cherry, Orange & Sour Apple flavor (7oz).